Known as the most expensive beach city in the USA, a 21-mile strip of Malibu coast was incorporated into the City of Malibu in 1991. The city gained its enormous popularity by virtue of Hollywood movie stars, top athletes, pop stars and entertainment executives residing in the oceanfront homes and enjoying beach activities what it seems like from their own backyards. Evidently most people regard Malibu and nearby locations as a solely beach area with some of the most picturesque ocean views. Although it’s partially true, there are still a lot of places to explore in and around Malibu. Here is the list of top 5 hidden gems in the City of Malibu and its surrounding areas. 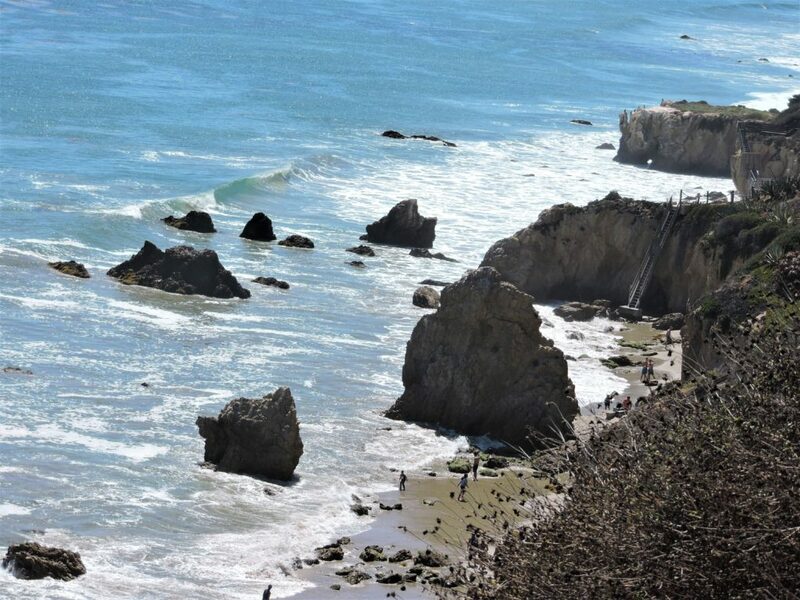 Long narrow stretches of white sands, abundance of sea caves, steep cliffs, rock formations, sea stacks, stones covered with seaweed, clear water… El Matador State Beach has all attributes to be one of the most beautiful beaches on the Pacific Coast. Like any other places in Malibu and thanks to its incomparable scenery, the beach entices all kind of photographers and swimsuit models gracefully posing on the craggy rocks. At sunsets and sunrises El Matador itself becomes the biggest muse and inspiration of nature loving lensmen and shutterbugs. Due to its isolated location and small parking lot, the beach rarely gets overcrowded. The access to this hidden gem is not that easy. A narrow trail starts at the parking lot and goes down through erosion landforms on the face of the cliff until it meets pretty steep stairs that take the beachgoers all the way down to the ocean. 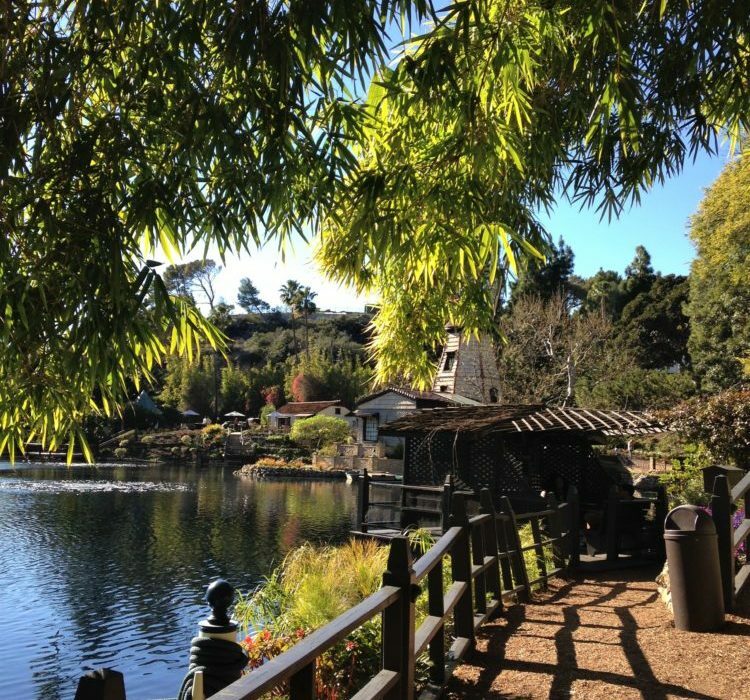 Situated on top of a hill and overlooking the Pacific Ocean, Self-Realization Fellowship Lake Shrine is a true hidden gem near the City of Malibu. As a matter of fact, even some of the oldest residents of Malibu don’t know about the existence of this incredible place in their own so-to-say backyard. 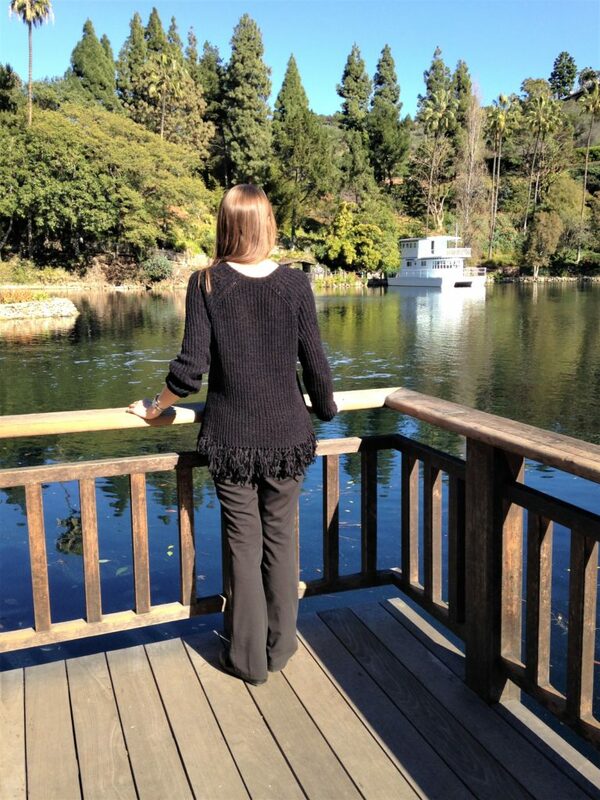 Self-Realization Fellowship Lake Shrine encompasses a main temple and majestic garden with a big lake in the middle. The lake-garden is that magical magnet that entices people to explore the place, enjoy lush greenery, relax and meditate quietly in an old Dutch windmill converted into a Chapel for silent meditation or right there in the garden on cute, beautifully painted benches. 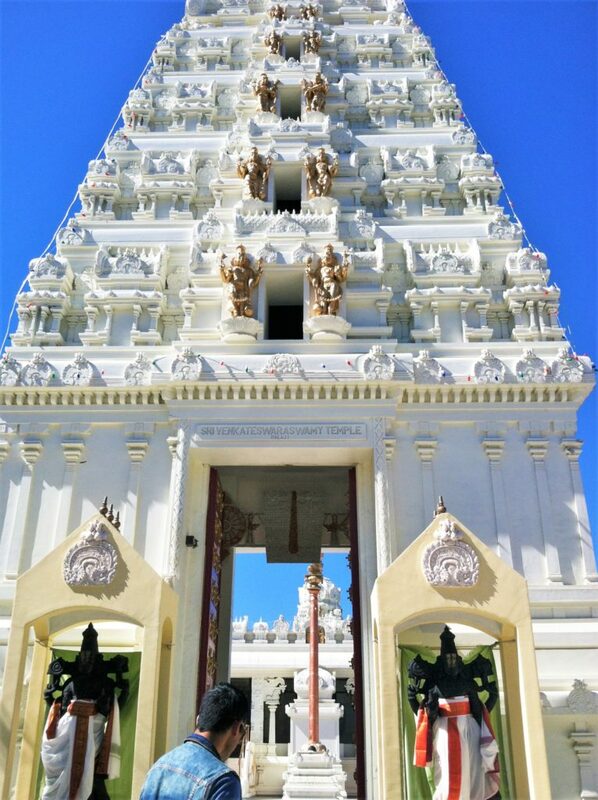 Even if you are not a big fan of Asian religion in particularly Hinduism, you will be very impressed with the beautiful architecture of Malibu Hindu Temple. Although the name of the temple suggests that it belongs to Malibu area, the house of worship is actually located in one of neighboring cities, Calabasas. The temple was built in the finest South Indian architectural traditions and devoted to many Hindu deities as opposed to one single god, which is a preferred and most common way in Hinduism. The walls of the temple from the top to the bottom are cover with engraved figures of Hindu gurus and other religious characters. Looking at them, it’s almost impossible to comprehend the amount of work and dedication put into it. Make sure to visit inner courtyard of the temple and admire sculptural artwork in the form of the most significant Hindu deities. 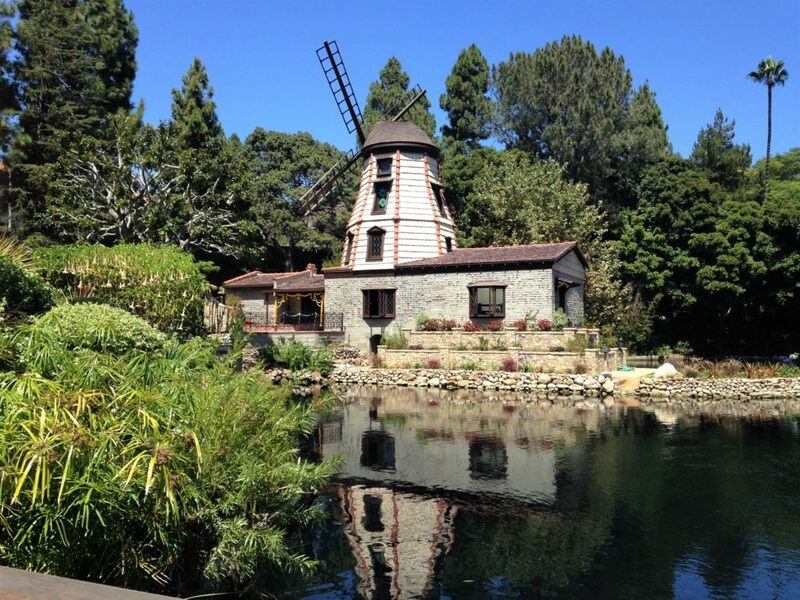 King Gillette Ranch is another hidden gem located in Calabasas. 588-acre property got its name thanks to its former owner, razor-blade tycoon King Camp Gillette. 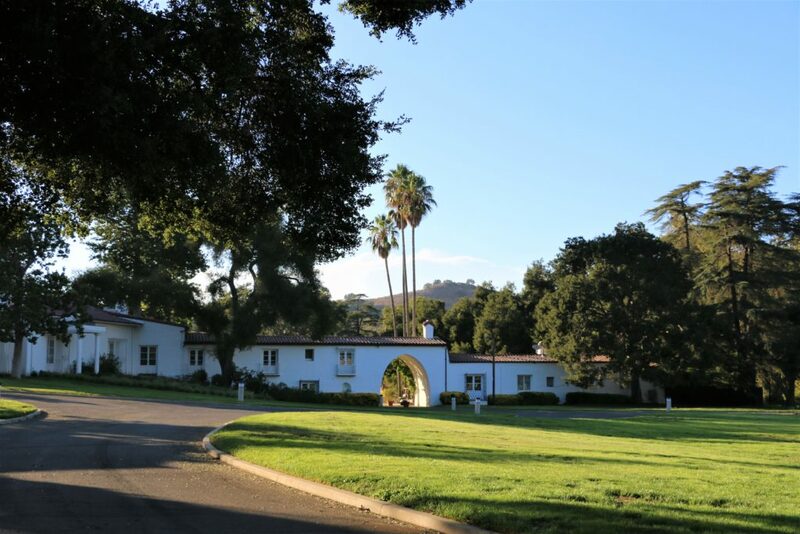 The ranch consists of a recently built visitor’s center, enormous mansion designed in Spanish Revival style and a big park with a large pond with bridges. Although the building is not open for the visitors, the park is the place to enjoy and explore. There are plenty of picnic tables and benches to relish your food in the fresh air, beautiful scenery perfect for mastering photography skills, a few trails suitable for hiking, strolling, jogging and biking. The relatively easy ascending trails lead to a knoll known as Inspirational Point that offers stunning views of the surrounding areas. There is no doubt that many of us heard word “Paramount” at least once. Most of the people associate this work with Paramount Pictures, a classic Hollywood studio that offers cart tours of its backlot sets and prop warehouse. But wait, it’s not the only “Paramount”. Somewhere in the Santa Monica Mountains near Malibu there is a unique cowboy town called Paramount Ranch. 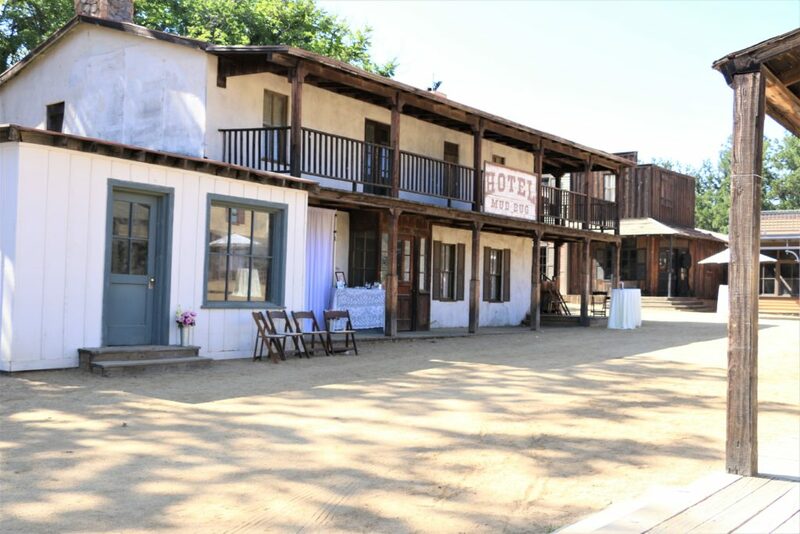 Our hidden gem number 5 is a working movie ranch created as a location for filming movies, specifically Western movies, during Hollywood’s Golden Age. Such Hollywood classics as “Gunsmoke”, “American Sniper”, “Have Gun Will Travel” and many more had been shot at the ranch. Unfortunately, after the era of the Western films came to its end, the cowboy town lost its popularity. Today Paramount Ranch with its Western-like buildings still remains one of the most interesting and enticing places near the City of Malibu and is open for self-guided tours for free. All of these 5 places are true hidden gems that ask to be discovered. The beautiful location, amazing scenery, historical values… Isn’t it enough to embark on a journey and explore them as soon as possible? Have you visited any of these places? Please share your experience in the comments below. These gems are really awesome and worth seeing, Zhanna! I wouldn’t hesitate to see all of these places when I visit Malibu! Agness, I really suggest you to visit at least some of them. Although they are not as popular as other tourist attractions in LA, they will open for you a different side of the city. I love all of these! Especially because they can all pretty much be done for free! Exploring off the grid is one of our favorite ways to get to know a city, this is such a perfect guide for that! Hey there! Excellent post! Please do tell us when we shall see a follow up!